Don’t let those holiday leftovers go to waste! 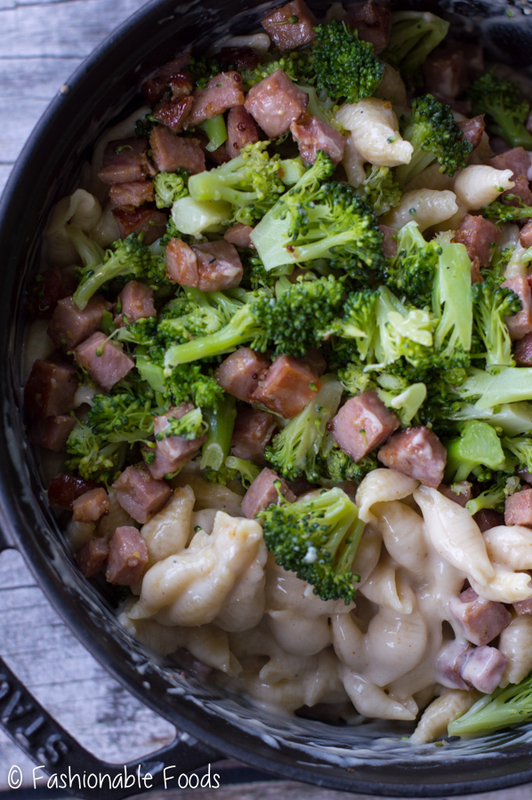 Instead, make this delicious ham and broccoli macaroni and cheese. 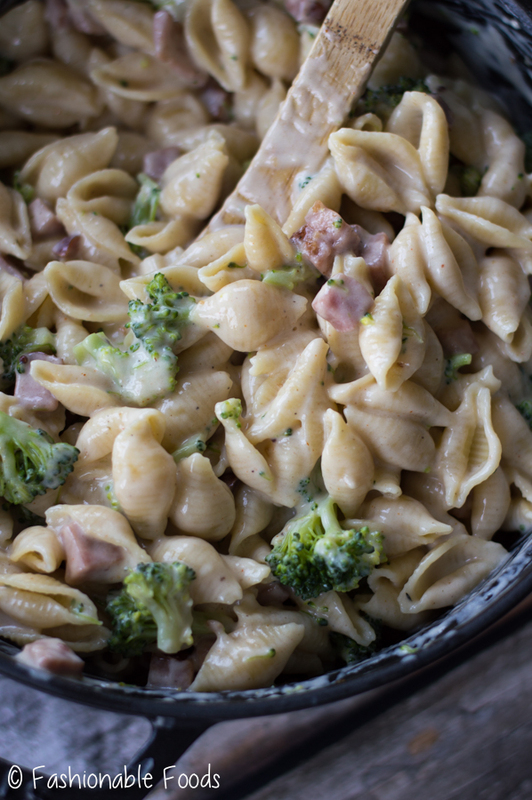 Chopped up leftover ham and broccoli are mixed with pasta and a luxurious cheddar cheese sauce. 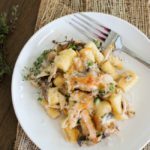 This comforting dish is made in one pot and completely reinvents those leftovers! I say it every single year, but my favorite part of the holiday meal is actually the leftovers! There’s nothing I love more than being able to grab a bunch of leftovers and create something completely new all while minimizing food waste. 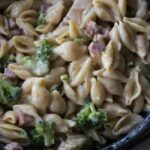 Ham and broccoli macaroni and cheese is my new favorite dish! 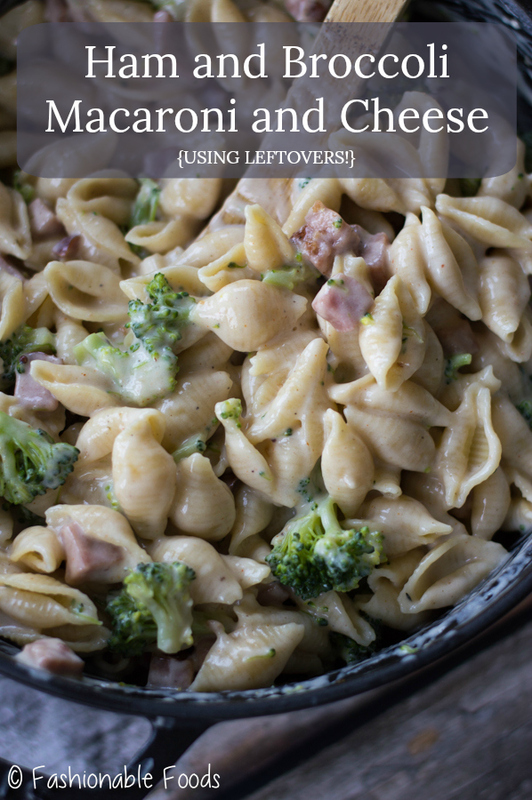 Leftover ham is sautéed until caramelized around the edges, then we make a luxurious cheese sauce, toss in some pasta and leftover broccoli and we have an amazing dish made with leftovers! I’ve even utilized some leftover bread to make a crunchy breadcrumb topping. So much yum happening here. 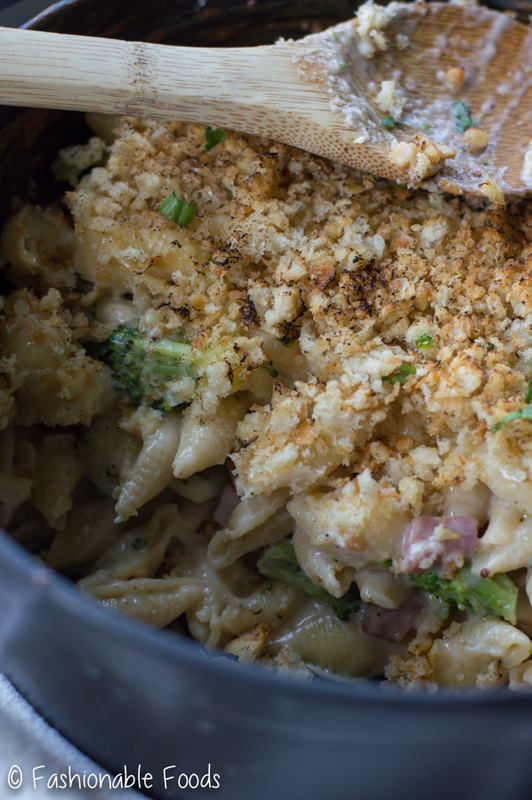 Before we get into this amazing leftover ham and broccoli macaroni and cheese, let’s talk about the actual meal. 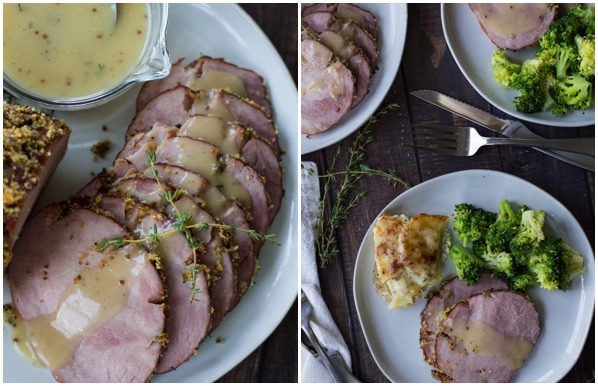 You may remember the honey mustard and herb crusted ham from Friday’s post. That’s where my leftovers for today’s recipe are coming from. For that, I started with a 2lb. Hatfield® Uncured Ham, which was the absolute perfect size to feed my husband and I and provide leftovers for ham and broccoli macaroni and cheese! Hatfield makes it really simple to serve up a great holiday, no matter how big or small of a crowd you’re feeding! They offer NEW, smaller sized ham products available in ½ Pre-Sliced Pit Ham, ¼ Pre-Sliced Ham (With Natural Juices or With Water Added). 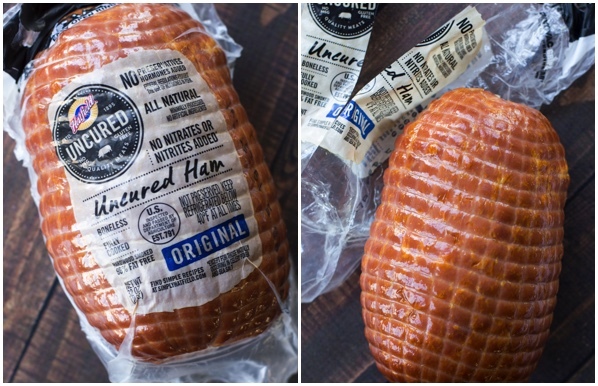 So, not only can you get the perfect sized Hatfield ham for your family, but you can be assured you’re getting an ethically raised, simply delicious product that is also gluten-free! My original meal consisted of the honey mustard and herb crusted ham, au gratin potatoes, fresh steamed broccoli, and crusty bread. When planning this meal, I made sure to only make enough au gratin potatoes for us to eat because I knew I wouldn’t be repurposing those leftovers. The ham and broccoli I knew I’d be able to easily repurpose, so I made sure that there would be leftovers of those! Basically, whenever I’m planning a holiday meal, I’m also planning what I’m going to do with the leftovers. This makes it so much easier to have everything you need and minimize food waste. Take the cheeses as another example. If you’re planning on having something for your guests to snack on, a cheese board is always a good idea! Crusty bread and a few different cheeses are great for snacking without being too much. Knowing I need havarti and cheddar for my leftover mac and cheese, I’ll make sure I include those. Then, I can just use the leftovers and not have to buy more expensive cheeses! 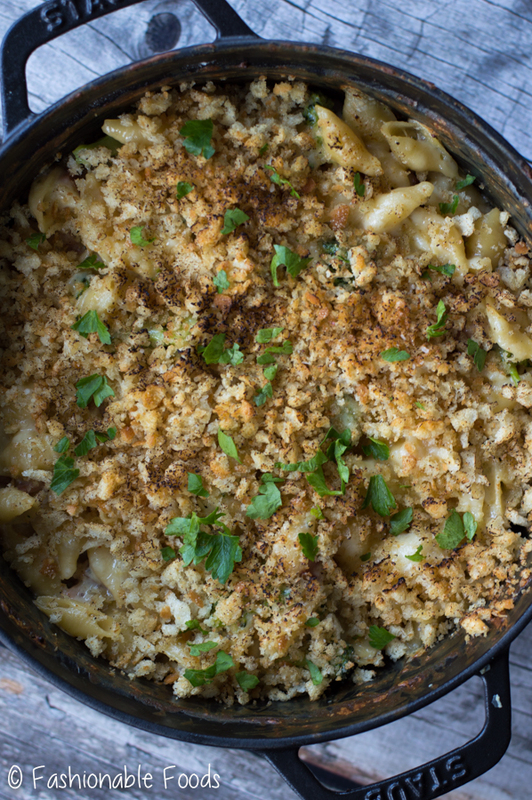 Making this comforting mac and cheese is pretty simple and requires only one pot! Boil your pasta, drain it and set it aside, brown up your ham, make the cheese sauce, and toss it all together. It’s ready to serve straight from the stove! To make things a little extra special and use up some leftover crusty bread, I make a quick breadcrumb topping. This is totally option, but obviously the added crunch is delicious. Repurposing leftovers is simple and fun when you give it just a little bit of thought ahead of time. Planning a few ways to use those leftovers will keep your tastebuds happy and you’ll be minimizing food waste. It’s a win-win! 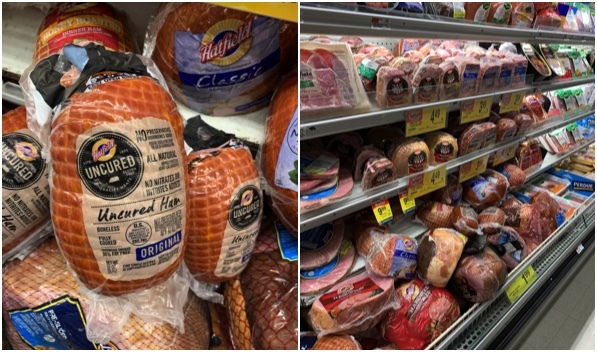 Don’t forget to check out Hatfield Hams – you can find them at many different retailers including, Acme, Shoprite, Giant, Price Chopper, Stop and Shop, and Weis. And, for a limited time only, receive a $2 rebate upon purchase of any Hatfield® Uncured Ham with this Ibotta offer! Cook the pasta in boiling salted water according the package instructions. Drain and set aside. Return the pot to the stove and melt 1 tablespoon of the butter over medium-high heat. 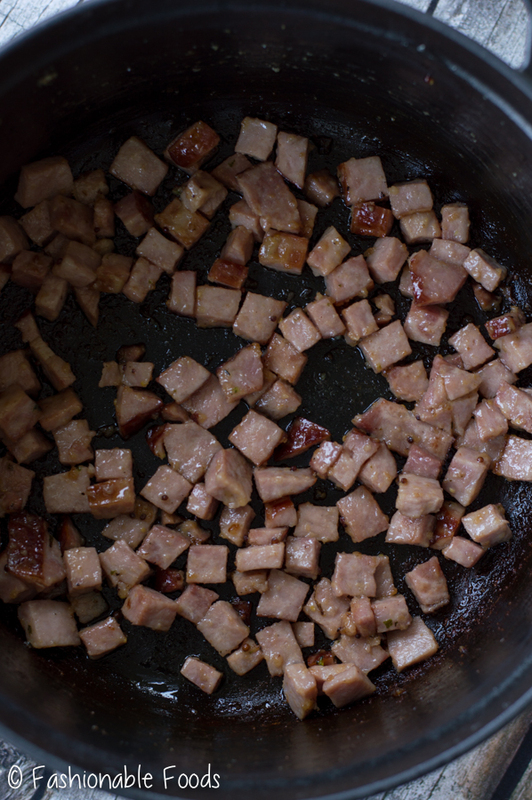 Add in the ham and sauté for 2-3 minutes or until the edges start to caramelize. Transfer the ham to a bowl and set aside. Melt the remaining 3 tablespoons of butter and whisk in the flour. 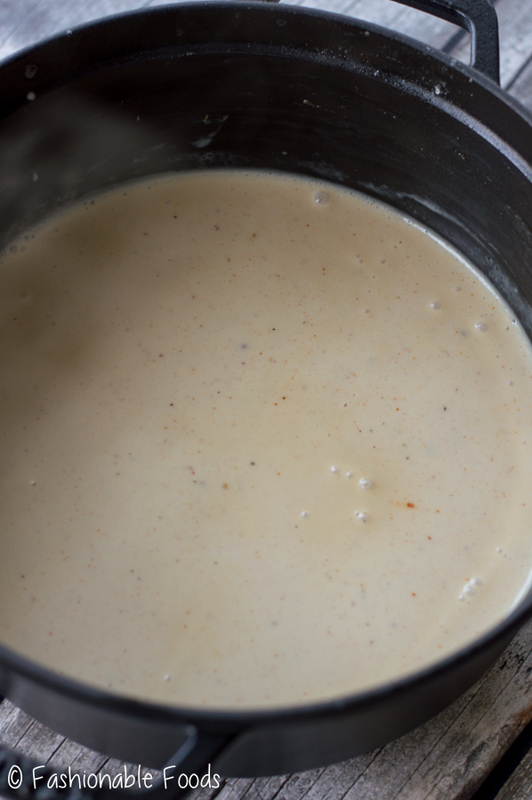 Cook the roux for 1 minute and pour in 3 ½ cups of the milk, whisking continuously. Bring the mixture to a simmer, whisking occasionally until thickened. Whisk in the Dijon mustard, cayenne pepper, and season with salt and pepper to taste. Turn the heat off, and stir in the cheeses by the handful, allowing each addition to melt before adding the next. Mix in the pasta, reserved ham, and broccoli. Mix well, adding the additional ½ cup of milk if needed. 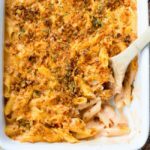 The macaroni and cheese is ready to enjoy at this point, but if you want to take things up a notch, I suggest making the breadcrumb topping! Take a few pieces of leftover bread or dinner rolls and pulse them into crumbs in your food processor (alternatively you can use breadcrumbs or panko). Season the mixture with salt and pepper and mix with melted butter. Toast the crumbs in a pan over medium heat until golden brown. Sprinkle them over the mac and cheese and enjoy!